Please follow this link for details of the BAA Summer meeting being held at the same venue on Saturday. 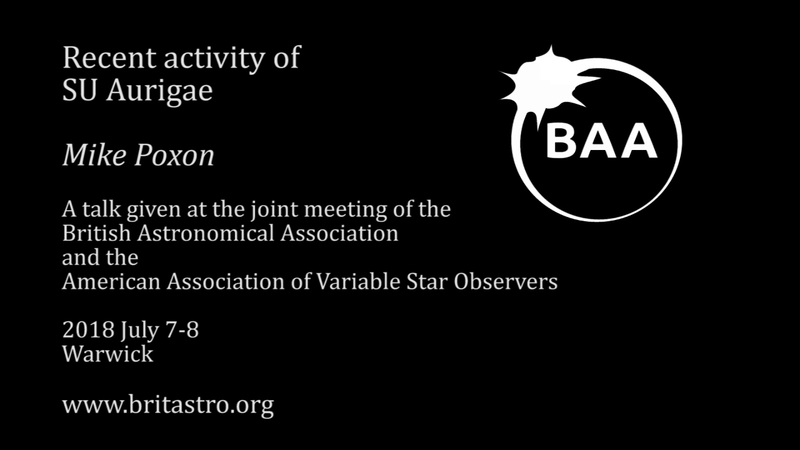 The Joint BAA/AAVSO Variable Star Meeting is being held in the same venue on Saturday and Sunday, 7-8th July. This international meeting will present an overview of some of the latest amateur and professional research in variable stars. 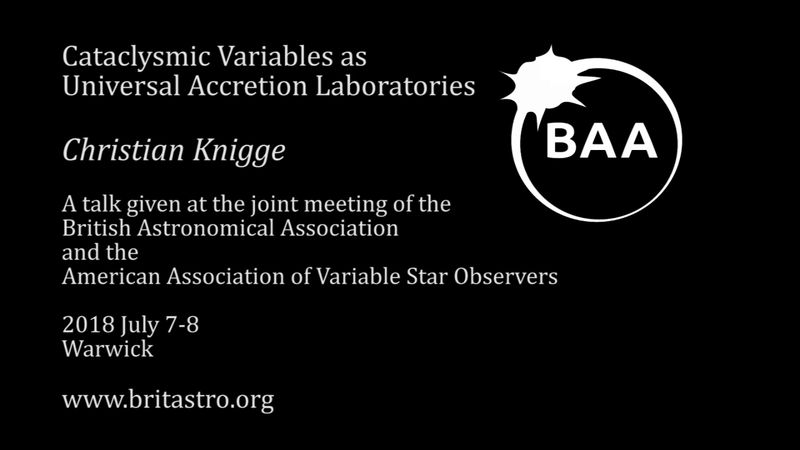 It is the second joint meeting of the BAA and the American Association of Variable Star Observers in the UK following our first successful meeting held in Cambridge in 2008. 10.10 – 10.30 Gordon Myers Applying Transformation and Extinction to Magnitude Estimates – How Much Does it Improve Results? The speaker programme for the meeting is now full but if you would like to display a poster at the meeting please book your space by sending an email to roger.pickard@sky.com at your earliest convenience. The BAA Summer Meeting is being held in the same venue on Saturday 7th July and features an exciting list of speakers including some of the leading experts on planetary science both within and beyond our solar system. This is a rare opportunity to get up to date with the latest developments on planetary systems. The programme for the Summer Meeting is given below. The two meetings will run in adjacent lecture theatres with plenary sessions bringing both groups together for the first and last lectures on Saturday. 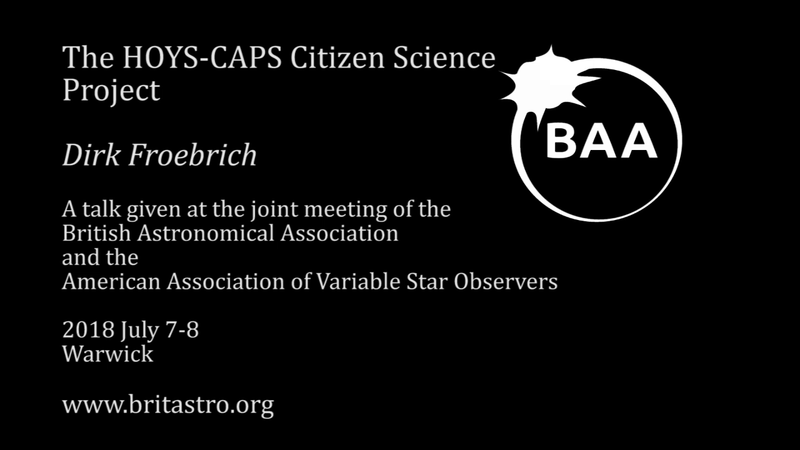 Note that it is possible to attend the Summer Meeting on Saturday and the second day of the Variable Star meeting on Sunday. There will be a conference dinner open to the attendees of both meetings on Saturday evening. Booking for this meeting has now closed. Please contact the BAA Office if you require further information. Day visitors will be provided with a cold buffet lunch and tea/coffee in the morning and afternoon. Accommodation is available on campus in single rooms with en-suite facilities. Those staying on campus are advised to book evening meals as the meeting is during vacation and other eating facilities on campus will be limited. We hope as many attendees as possible will attend the conference dinner on Saturday evening as it will provide a good opportunity for interacting and socialising. A limited number of double rooms on campus have now been made available to us. These rooms cannot be booked through our online booking system as payment must be made by their occupants on departure. The cost is £120 per room per night including breakfast. Credit and debit cards will be accepted. If you would like to book one of these rooms, please email davidboyd@orion.me.uk with your requirements as soon as possible as we will not be able to hold these room indefinitely. If you request one of those rooms, you must still book for all other aspects of the weekend through the online booking system. Alternatively, there is a list of local hotels recommended by Warwick Conferences which can offer double rooms. If you wish to stay off-campus, please make your own accommodation arrangements but please book below for those days when you will be attending the meeting and for the conference dinner. Please follow this link for information on local transport services, and this link for information about transport from Birmingham and Heathrow airports. Note that the campus is large and a considerable amount of walking between venues will be necessary. There is information about other attractions in the local area which may be of interest here. Advance booking is required for this meeting, and booking has now closed.